Which is one reason why it’s going to be ever so interesting reading, and hearing, the reactions to Sinmara’s highly-anticipated and long-awaited second album. Now, due to the fact that, as of this morning, the band have generously made the entire record available for you all to stream in its entirety I’m not going to delve too deeply into the specific ins and outs of each track here. Instead I’d like to provide you with more of a general overview of the album, its feel, its dynamic, its evolution, as a way of preparing you for what you’re about to hear. First and foremost, you should be made aware that this is a much more melodic and streamlined affair than Aphotic Womb. 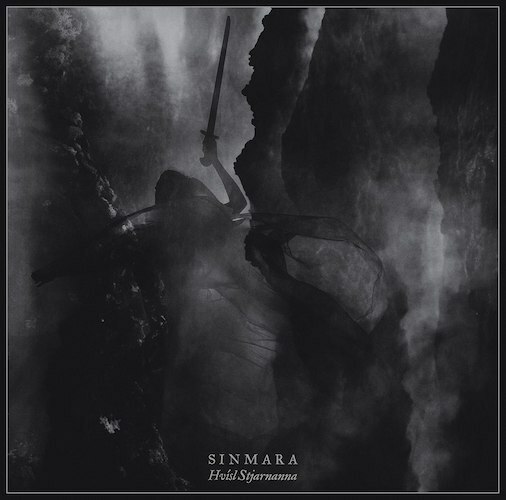 Of course, this is something that had already been hinted at on Within the Weaves of Infinity, but it’s still something of a revelation to behold the myriad ways in which Sinmara have allowed an ever-present undercurrent of bleak, mournful melody to permeate and pervade practically every aspect of their sound. And while waves of decadent dissonance and bristling blastbeats still abound in all their plenty, these are tempered – in the same way in which steel is tempered and strengthened – by a glittering cascade of striking melodies and spectral harmonies whose purpose is not so much to soften the rough edges of the band’s blackened brilliance, but rather to sharpen them to a gleaming point. Fittingly, for an album whose name translates as “Whispering Stars”, Hvísl Stjarnanna is also a much more pensive and patient record than you might have expected, one built around the hypnotic ebb and flow of light and shade, sorrow and serenity, and as such lacks some of the immediacy and intensity of the band’s debut. Yet this does not make it a lesser affair by any means, as while this more evolved (dare I even say, more mature?) approach may demand a little more effort and attention on the listener’s part, the music itself is still as electrifying as ever and, as such, has the potential to offer an even deeper, and more rewarding, experience as a result. 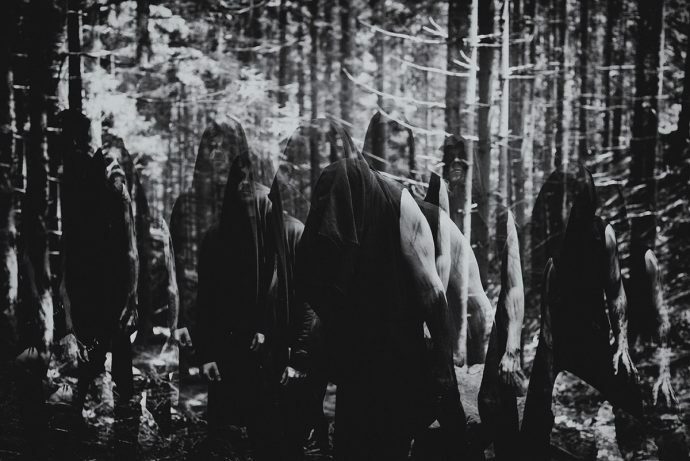 Time will tell, obviously, whether the band’s fanbase is willing to embrace this shift towards a more haunting and ethereal style – albeit one still heavy with venom and vitriol – but I, for one, am not only extremely impressed, but also extremely intrigued, by Hvísl Stjarnanna, and look forward to plumbing its mournful, malefic depths for a long time to come. Those bass lines… Well done! This album is great, only three spins in but yes, it is more melodic, but it’s in no way friendly and streamlined.